I can’t even begin to list the many ways a star stencil can be used but I can point you to some of our other pages for great ideas after you get the free printable stencils here! 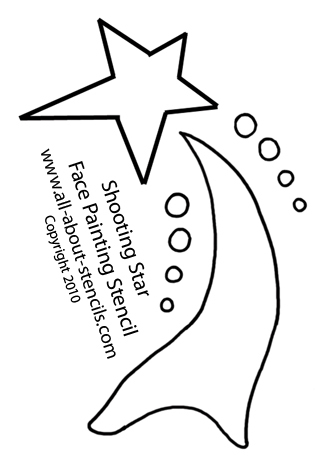 This design is from our stencils for face painting. 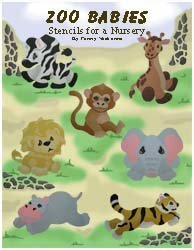 Plus you can find more about this unique way of using stencils at face paint stencils. 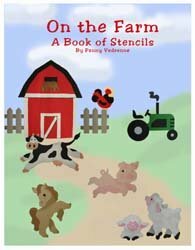 Some other patterns that you may like would be the flower stencils and the summer stencils. 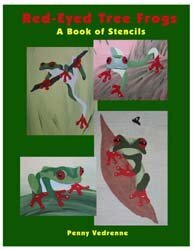 All have some wonderful cheery images that would go well with the star stencil. Another popular use for a star stencil is quilting. 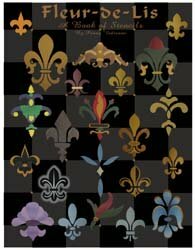 If this is one of your hobbies look into the quilting stencil patterns for more great ideas. 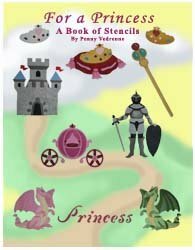 Of course, if you check out the free stencils you'll think you hit the lottery of craft patterns and just think, it all started with a little star stencil. 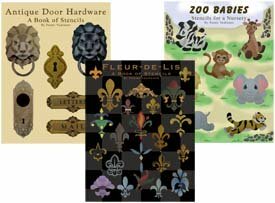 None of the books below have a star stencil but you might find them interesting for a future project. 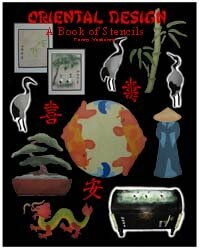 Each book will come to you as a down-loadable pdf file in your e-mail. Just check your e-mail after purchase for the link to connect to your file and print or save. It's that easy! Create your own private wall mural garden retreat. 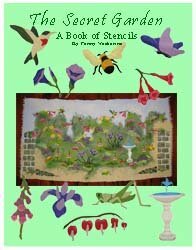 This collection includes 12 stencils - a fountain, bleeding heart, iris, bee, butterfly, foxglove, grasshopper, hummingbird, trumpet flower, morning glory, stone wall and stone path. Hey! Don’t forget that I (and everyone else) want to see what you have done with your star stencil. 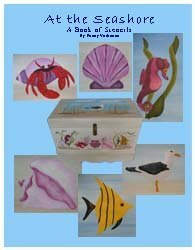 Just click on Stenciling Projects to get your masterpiece showcased here on this web site. Won’t that be exciting! 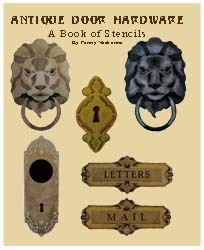 Or if you have any questions or want to share information join in on the Stencil Blog. Stencil Blog. Well, I hope to hear from you soon. Return to Home Page from Star Stencil. Return to Airbrush Stencils from Star Stencil.